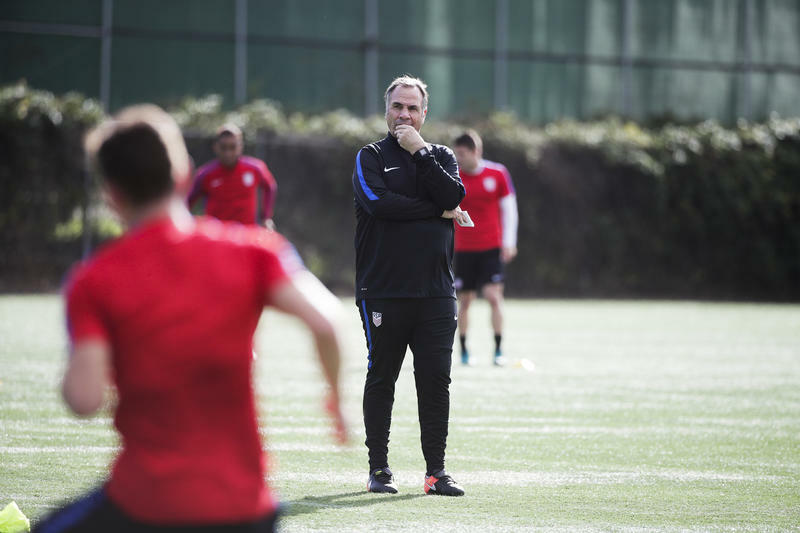 The U.S. men's national soccer team is back in action with a game against Serbia on Sunday. It's a so-called friendly, meaning it's not part of any official competition. But it will provide a first look at the team under its new head coach or, more precisely, its new old head coach. Administrations come and go, but now it's time for sports. SIMON: It's less than a month until the Super Bowl. And the NFL playoffs begin today. NPR's Tom Goldman joins us now for the first time in 2017. Good morning, Tom. Hey, Indians Fans — Where Was The Love Before The World Series? To say the mood at Progressive Field in Cleveland was electric the last two nights is the understatement of the baseball season. 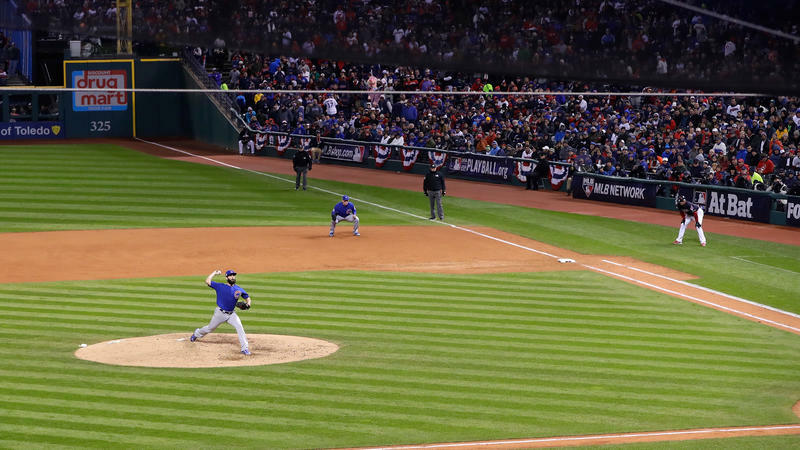 The first two games of the World Series brought sellout crowds, mostly made up of Indians fans, totaling more than 38,000 both nights. Everywhere you turned, there were happy Clevelanders sporting Indians jerseys, jackets, hats and T-shirts. The Cleveland Indians are hot stuff. 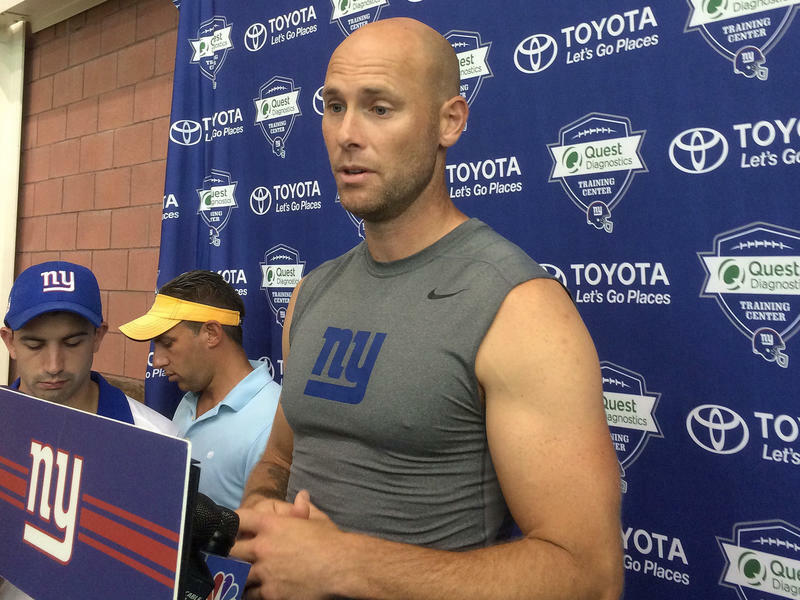 The NFL's New York Giants are heading to London for a game against the Los Angeles Rams this Sunday, without their All-Pro kicker Josh Brown. The decision to leave Brown behind comes after new information emerged in a year-and-a-half-old domestic violence case. And suddenly, there are new questions about whether the league adheres to its supposedly tougher policy against domestic violence. In May 2015, Brown was arrested for assaulting his then-wife Molly at their home in Washington state. Brown wasn't charged. SIMON: American and National League Championship Series are underway - LA, Chi-Town, Cleveland and Toronto. 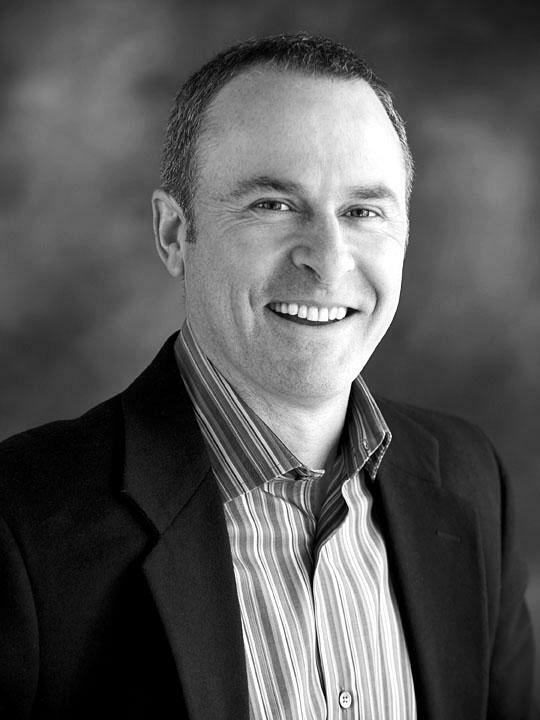 NPR's Tom Goldman joins us. Morning, Tom. The Los Angles Sparks won Game 1 of the WNBA Finals on Sunday, 78-76, over the Minnesota Lynx at the Target Center in Minneapolis. The Sparks hold a 1-0 lead in the best-of-five series. Game 2 will be played Tuesday night in Minnesota. 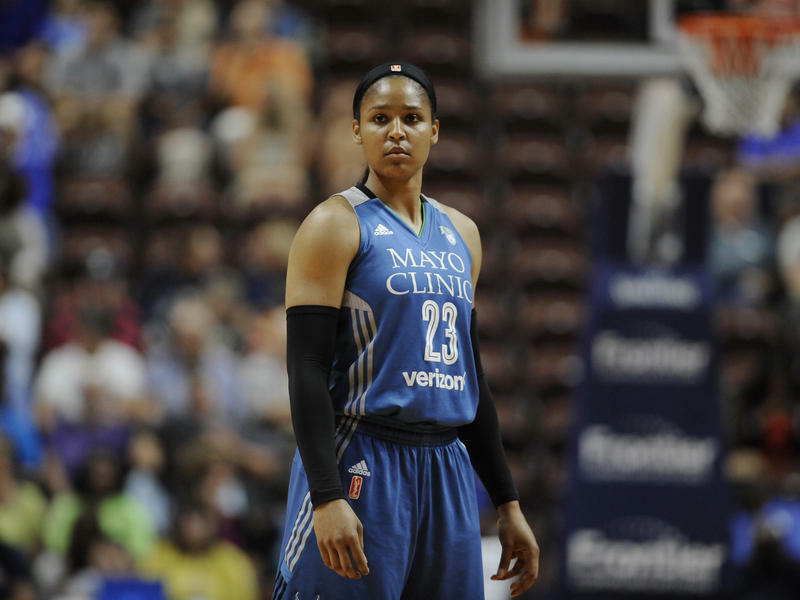 According to the WNBA, Minnesota's Maya Moore passed Diana Taurasi of the Phoenix Mercury, who held the record at 262 points, to become the all-time leading scorer in Finals history. 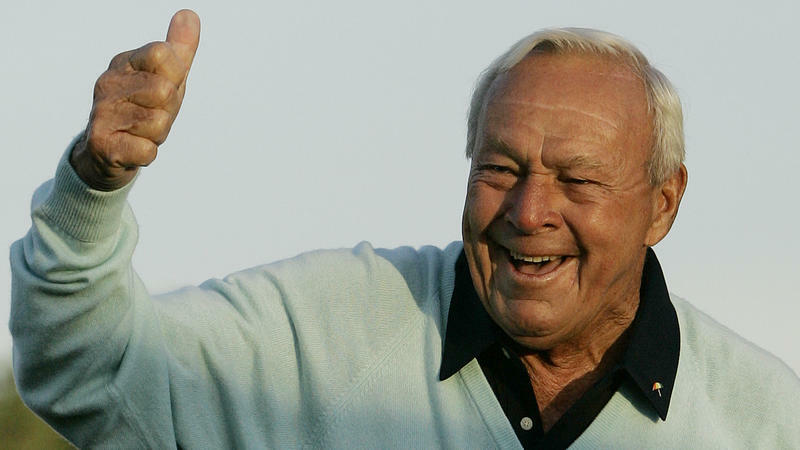 Golfing legend Arnold Palmer has died at 87. Brazil is back in the sporting spotlight. The Paralympic Games began with Wednesday's Opening Ceremony in Rio de Janeiro. There's been concern that budget cuts and slow ticket sales will mean a less-than-stellar Paralympics. But organizers say there's been a late surge in ticket buying, and all countries eligible to compete are in Rio, after travel funds that had been delayed came through. It's hard enough to race against Usain Bolt, but American sprinting star Justin Gatlin also had to deal with booing last night in Rio as well. We've heard a lot about Michael Phelps and Katie Ledecky in this opening week of the Rio Olympics. 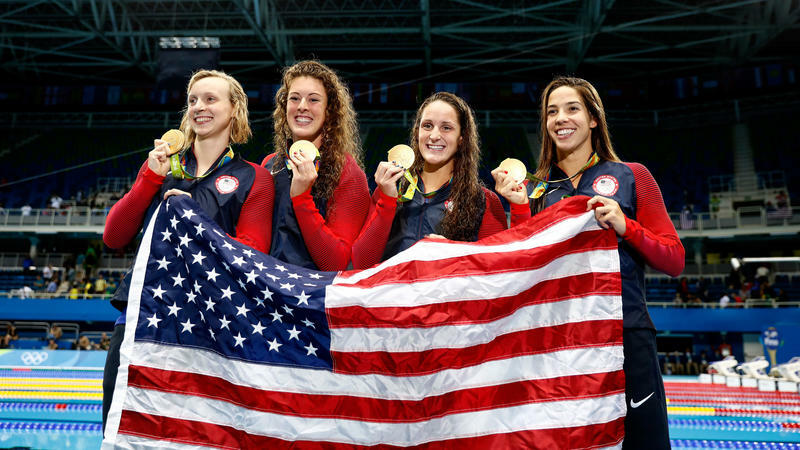 Together, they've won seven medals so far, six of them gold. But they're only part of the story about American swimming. The U.S. traditionally has dominated the sport in the Olympics. The performance in Rio is proving to be exceptional. 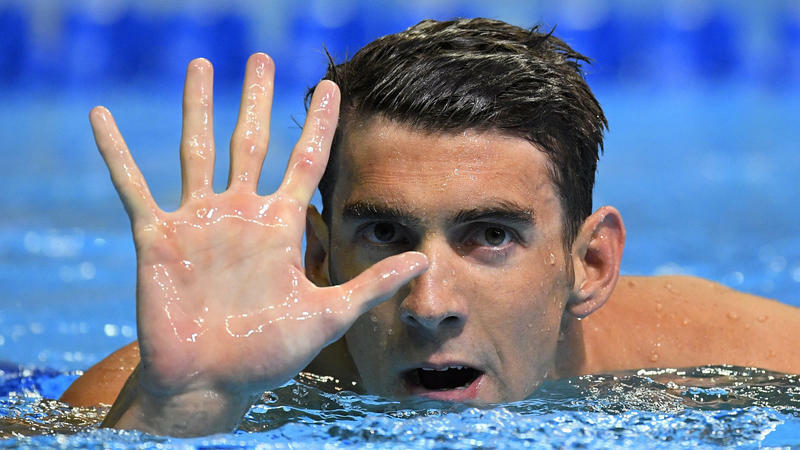 Michael Phelps knows he'll be going to his fifth Olympic Games next month. Phelps officially qualified for Rio on Wednesday, by winning the 200-meter butterfly, a race he described as the hardest swim of his career. He followed that up with a win in the 200-meter individual medley late Friday at the U.S. swimming trials in Omaha, and also qualified for the finals for the 100-meter fly on Saturday. Wednesday's win in particular had meaning far beyond the pool — a symbolic victory over the personal problems he wrestled while becoming the most decorated Olympian in history. 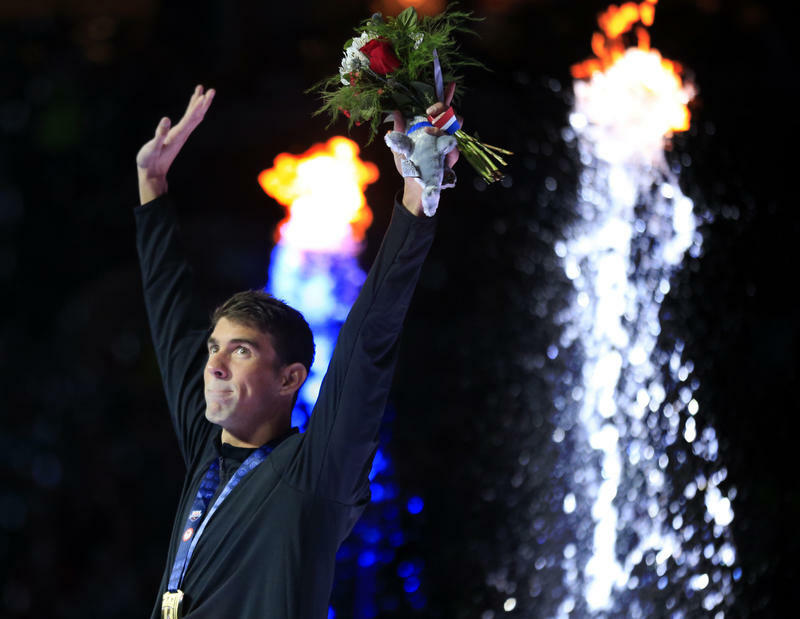 Swimming superstar Michael Phelps made history again Wednesday night. At the U.S. Olympic swimming trials in Omaha, Neb., Phelps qualified for a record fifth Olympic games. He's the first American male swimmer to do that. But Phelps is one of the few veterans having success so far at the trials. That's because a batch of young, first-time Olympians is stealing the show. 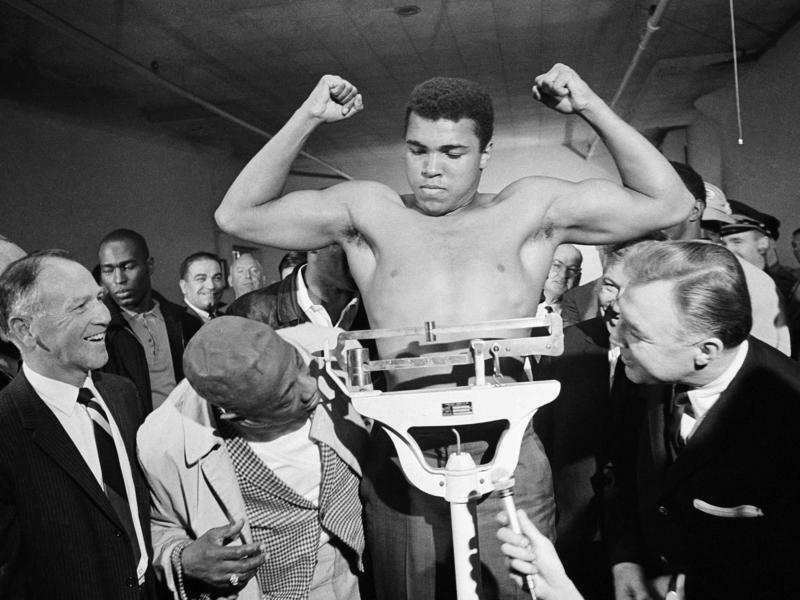 Muhammad Ali, the man considered the greatest boxer of all time, died late Friday at a hospital in Phoenix at age 74. He was battling respiratory problems. 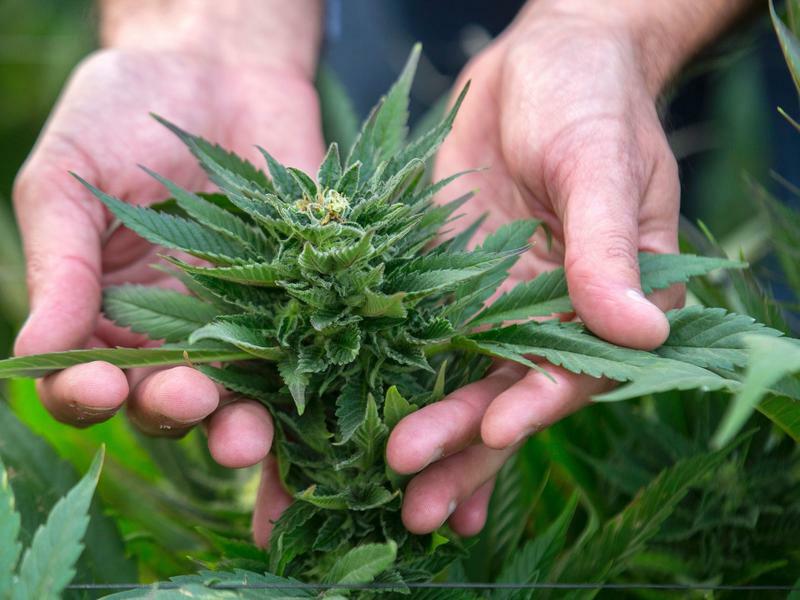 He died of septic shock related to natural causes, with his family at his bedside, according to family spokesman Bob Gunnell. Ali inspired millions by standing up for his principles during the volatile 1960s and by always entertaining — in the boxing ring and in front of a microphone. Deflategate is the NFL story that just keeps on giving. A federal court panel ruled today the NFL commissioner did have the right to suspend Patriots quarterback Tom Brady for four games. NPR's Tom Goldman reports. Sunday's Super Bowl 50 — Carolina Panthers versus the Denver Broncos — could mark the end of an era. 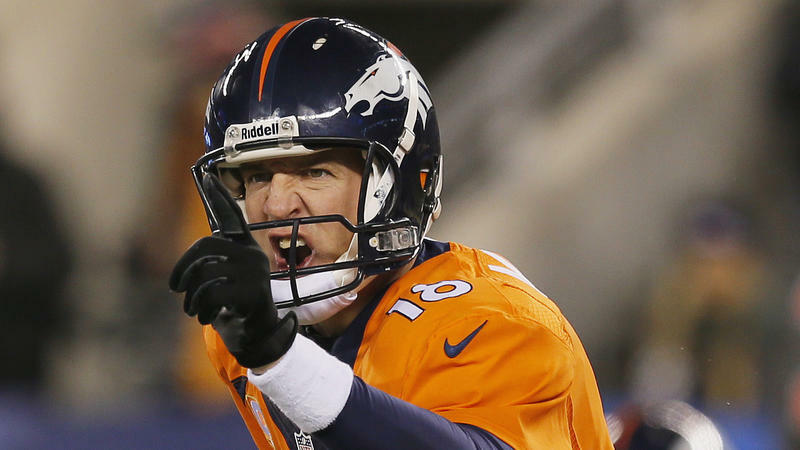 The veteran Broncos quarterback turns 40 next month. After a season plagued by injury and poor play, many suggested it was time to retire. Manning fueled speculation about his future after Denver won the AFC Championship game and microphones heard him tell New England head coach Bill Belichick, "This may be my last rodeo."